Clouds race overhead with Winter Park, Colorado, resting quietely beneath the early morning sky. This long exposure shows the village near the ski base on a perfect July morning. 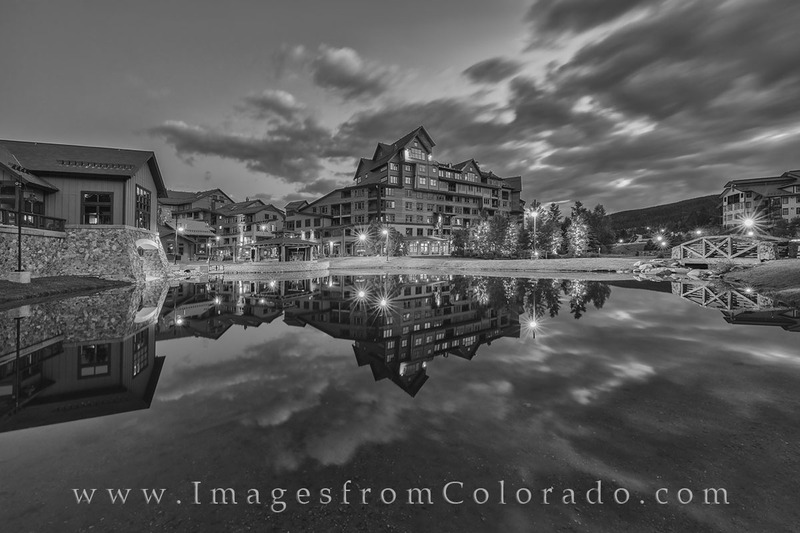 As the main resort area in Grand County, this area will soon be bustling with summer tourists. Photo © copyright by Rob Greebon.